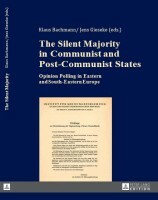 Oleg Manaev, Public Opinion Polling in Authoritarian State: The Case of Belarus, in The Silent Majority in Authoritarian States. Opinion Poll Research in Eastern and South-Eastern Europe”, (Switzerland), Bern: Peter Lang, 2016, 79-98. Request text from the author: manaev.oleg@gmail.com. All IISEPS academic publications now available!